Our Website optimization (SEO) system will target just the potential clients for your administration/item and change over them into converted lead. We will utilize normal publicizing and advertising strategy to induce potential clients to buy. We will help you brings high positioning results for reasonable cost and enhances your business. We will help you to expand your TOP line income and further business development along these lines expanding your site's revenue generation potential. Local seo fits in most of the cases for local businesses that are selling products and services within a geographic range. Local seo is mostly use for local business.Local SEO is typically less costly than a Global SEO. In fact, you can typically get some pretty smart local SEO results. Global seo is also the part of SEO. Global SEO is more complex, more difficult to enact and typically more expensive than a local campaign. With local SEO, your business is only competing with similar businesses in that local area; however, with Global SEO, you are competing with similar businesses all around the world. SEO takes time and efforts. 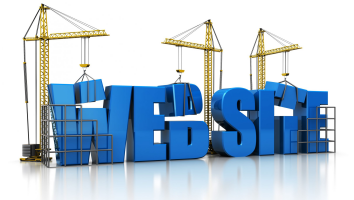 After start work on your website it can take approx. 6 to 7 months to see the result.We have been in this business for last three years and providing best result and service to our clients. To see our SEO result, you can visit our SEO result page. We guarantee to give you the best results in minimum time duration. What is the whole SEO process? SEO process starts with website study and ends with monthly reporting. It includes Website Analysis, Potential Keywords Analysis & Reporting, Final Keywords Selections, Baseline Ranking Report, Website Analysis & Recommendations, Getting all website details from client, Implementing on Page Optimization, Regular off Page Activities, Regular Google Analytics & webmaster Check, Articles and blogs content creation, Sending content to client for approval, Content Marketing, Monthly Reporting. What is the difference between Mobile site and Responsive design? In Responsive design the device does the work and automatically adjusts with the screen size. No need to change in your domain except code on the back-end. SEO tools we use to analyze and track the website are, Google Keywords Planner, Google Webmaster, Google Analytics, Moz, Copyscape, SEOProfiler, Semrush, Screamingfrog,xenus-link-sleuth etc. PPC(Pay Per Click) is the fastest growing way to generate traffic for your website. PPC works on bidding system. The bid depends upon position in the search engines. You can achieve best results in very less time without a website specialist. How can I see my ads? To access googleadwords preview tool you can see your search ads without any extra impressions on your ads.